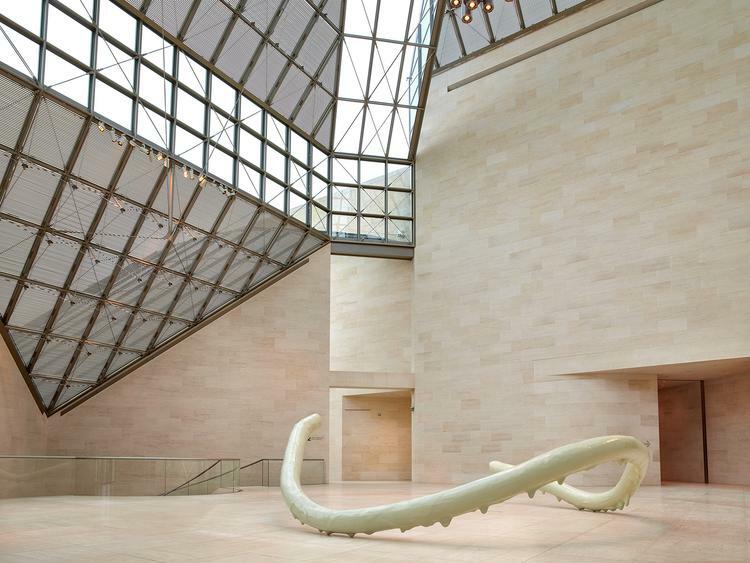 nairy baghramian, installation view beliebte stellen/privileged points, mudam luxembourg, luxembourg, 2019. Beliebte Stellen/ Privileged Points are an ongoing series of works by artist Nairy Baghramian, which addresses their institutional environment with varying color and volume. 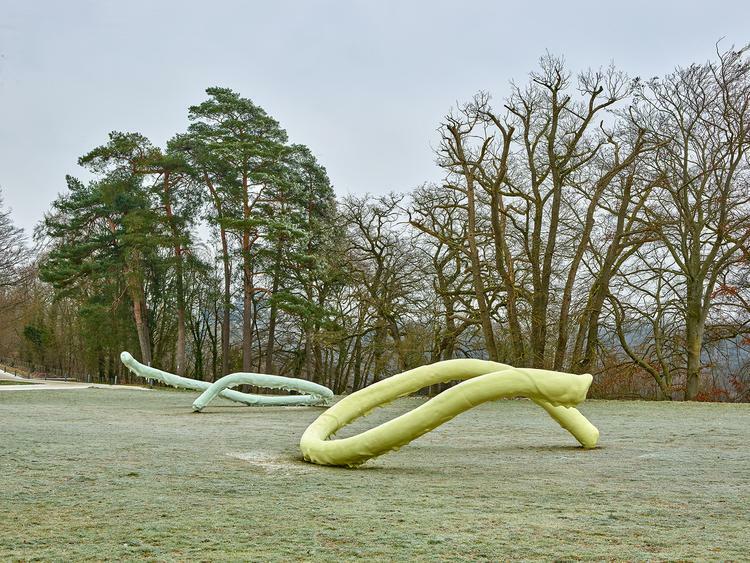 In the process, the open, slightly curved irregular circular sculptures, similar to an encircling of text passages, highlight preferred local conditions and at the same time question spatial relationships. 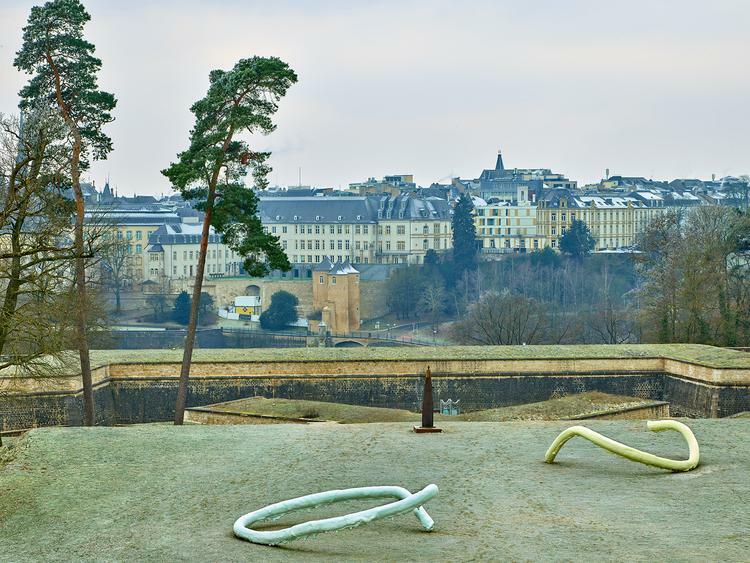 The objects, cast in bronze and covered with brush painted pastel-colored lacquer, serve as placeholders for sculpture.